The Counter-Terrorism Implementation Task Force (CTITF) was established by the Secretary-General in 2005 and endorsed by the General Assembly through the United Nations Global Counter-Terrorism Strategy, which was adopted by consensus in 2006. The mandate of the CTITF was to strengthen coordination and coherence of counter-terrorism efforts of the United Nations system. The Task Force consists of 38 international entities which by virtue of their work have a stake in multilateral counter-terrorism efforts. Each entity makes contributions consistent with its own mandate. The primary goal of CTITF was to maximize each entity‘s comparative advantage by delivering as one to help Member States implement the four pillars of the Global Strategy. While the primary responsibility for the implementation of the Global Strategy rests with Member States, CTITF ensured that the UN system is attuned to the needs of Member States, to provide them with the necessary policy support and spread in-depth knowledge of the Strategy, and wherever necessary, expedite delivery of technical assistance. 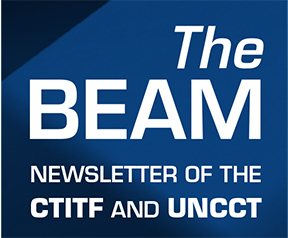 The work of CTITF was organized through Working Groups and counter-terrorism related projects and activities in areas where cooperation among United Nations system actors can add value for the implementation of the Strategy. On 23 February 2018, the Secretary-General signed the new United Nations Global Counter-Terrorism Coordination Compact, which replaces the Counter-Terrorism Implementation Task Force coordination arrangement. The United Nations Global Counter-Terrorism Coordination Compact is an agreed framework between the Secretary-General and the heads of United Nations Counter-Terrorism Implementation Task Force entities. 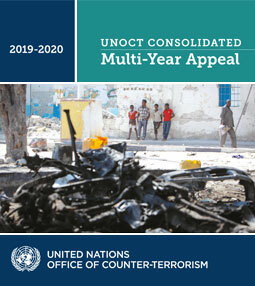 It aims to strengthen a common action approach to coordination and coherence in the counter-terrorism and prevention of violent extremism (PVE) work of the United Nations system, and to strengthen support to Member States, at their request, in the implementation of the UN Global Counter-Terrorism Strategy, and other relevant United Nations resolutions and mandates. The first meeting of the UN Global Counter-Terrorism Compact Coordination Committee took place in New York on 6 December 2018 in the presence of Secretary-General.